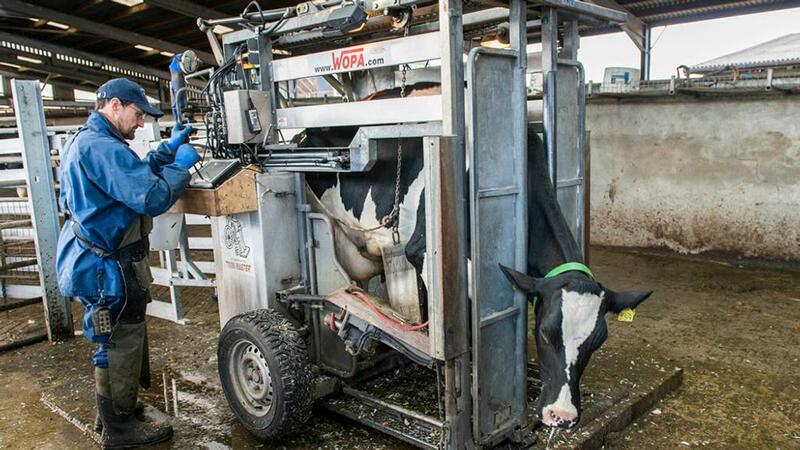 Lameness remains one of the most significant welfare and productivity issues in dairy farming. Farmers Guardian speaks to one veterinary practice and farmer about their approach to lameness control. At a time when producers are striving to farm efficiently, one veterinary practice is working closely with its farmers to reduce the impact of herd lameness on farm margins. “Lame cows cost a farm business between £100 and £600 per case depending on the severity, through treatment costs, reduced production performance and increased culling,” says Dr Reuben Newsome, farm vet at Synergy Farm Health. “The financial impact often is not realised as, unlike mastitis, milk isn’t physically being thrown away. The production losses are more prolonged and less obvious. 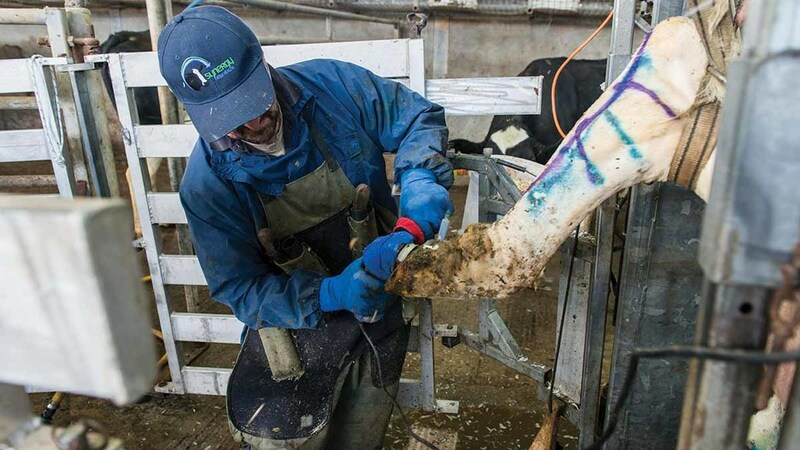 Dr Newsome and his fellow vets at the practice work in partnership with their skilled vet technicians, also referred to as Vet Techs, to implement tailored lameness plans. “As a practice, we aim to be a part of the farm team not only to assist in preventing lameness cases, but also working to detect early cases so prompt treatment can be given,” he explains. The Vet Techs offer day-to-day services including mobility scoring, routine foot trimming and curative foot trimming. “We also collect data on lame cow numbers, lesion types and the treatment given, so each business can review their progress,” says Matt Board, who has worked as a Vet Tech for more than eight years. The data reports are automatically sent to the farm vets, so chronically lame cows can be flagged for further treatment at the next visit. “We also meet as a group for regular herd health discussions, to cover the routine problems and specific lesions causing issues and determine why the issues are happening so preventive measures can be introduced,” he adds. One farm manager who has embraced this approach to herd lameness is Simon Wheatley, who looks after a 200-cow herd in Taunton. “We have always understood the impact lameness has on individual cow performance, but by working closely with Matt and the Synergy Vets, it’s become a priority,” he says. “Matt’s fortnightly visits and data recording allow us to benchmark our performance and see the improvements from any changes. 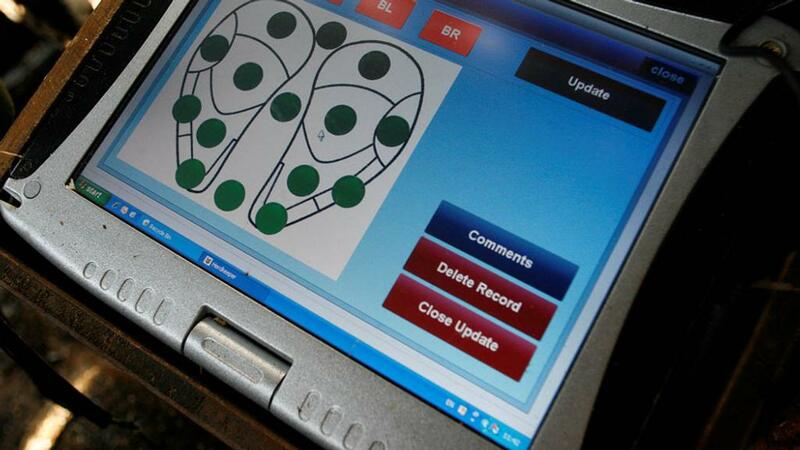 The farm team also routinely mobility score as part of the milk contract, so cows are constantly being monitored. “The lameness protocol is to pick up the feet of any cows who are a score one or two on the AHDB mobility scale,” he says. “We trim and where a lesion is identified, we do the agreed first-line treatment. For claw horn lesions this involves applying a block and administering an anti-inflammatory ketoprofen. Fraser Claughton, from Bayer, says he is encouraged to see vet teams and farmers working together to overcome lameness. “Lameness remains a big challenge. Having conversations between the whole farm team to implement changes is the best place to start,” says Mr Claughton. Commenting on his work with farmers such as Mr Wheatley, Dr Newsome says the working relationship and continual monitoring of results is having a positive impact on herd lameness. “Simon and his team’s early detection and effective treatment with a trim, block and non-steroidal, combined with re-checks is gold standard.